The leaves will soon be falling. The air will soon turn cooler. Autumn is just around the corner and I am a bit too excited. Fall is my FAVORITE time of year and I wish it could be fall all year long. In honor of the falling leaves and acorns that will soon cover the ground and my daughters sudden need to practice isolating those beginning sounds ALL. DAY. LONG. 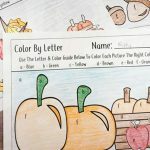 (teacher heart happy) I am sharing a fun Fall Leaves Beginning Sounds Activity with you all today. 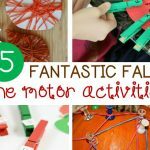 *Pair this with our Fall Centers and Activities for Pre-K and Kindergarten! 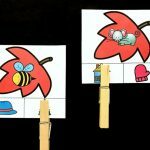 This activity is a fun, hands on way to practice identifying beginning sounds and is perfect for preschool and kindergarten. 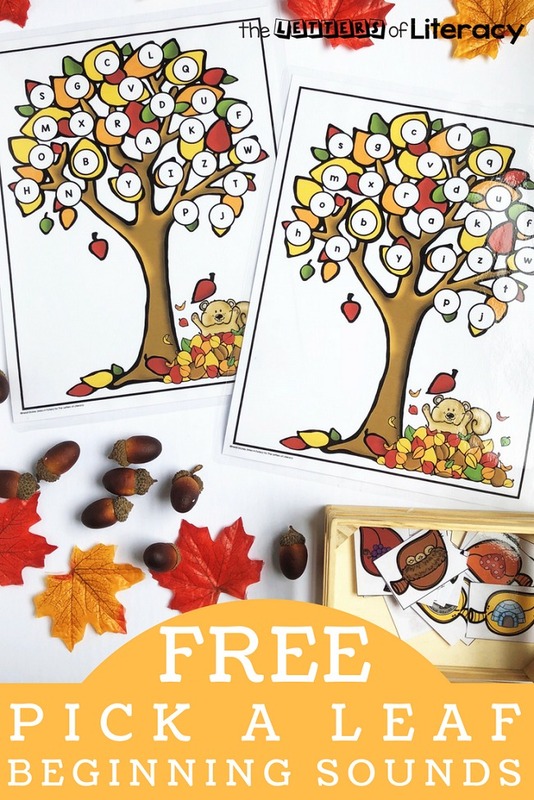 Simply print out the autumn tree mats and the leaf picture cards and laminate them. 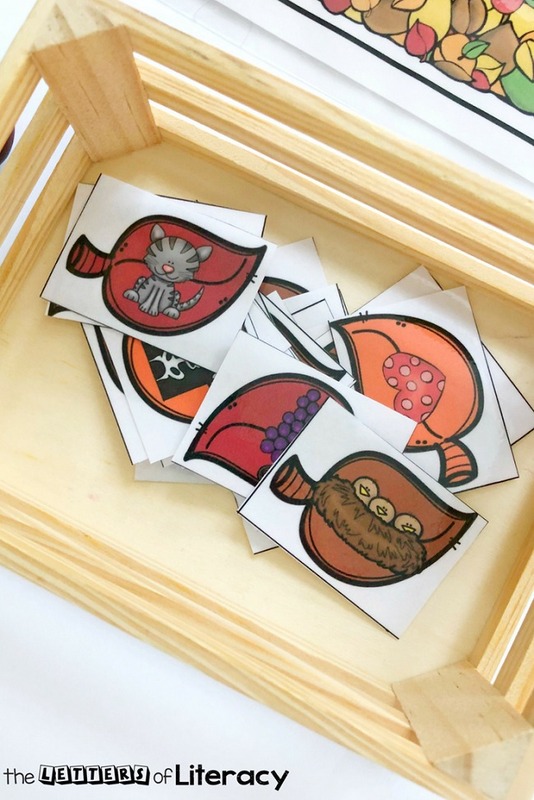 Differentiated Learning Opportunity: I have included a capital letter and a lowercase letter version of this activity for differentiation. Choose the mat that works best for your child or students. 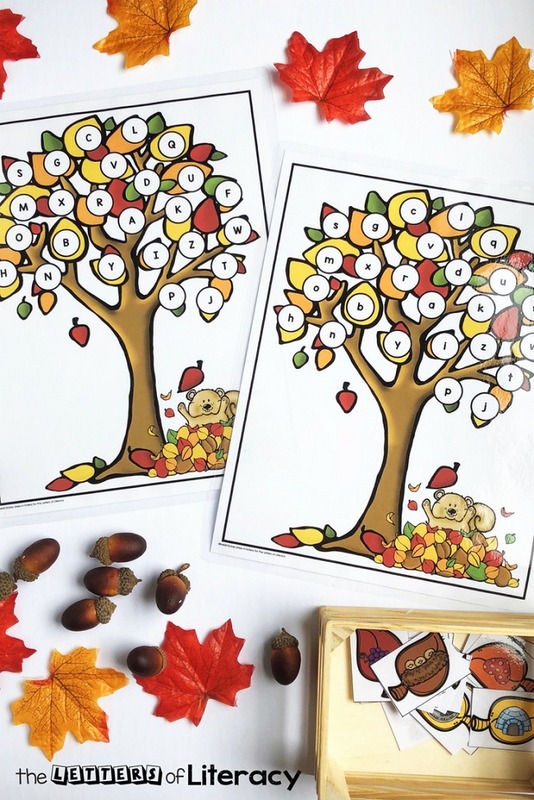 Choose the capital or lowercase letter mat that you would like to use and place all of the leaf picture cards into a basket or bag. Pick a leaf card from the basket. Identify the picture and the beginning sound. 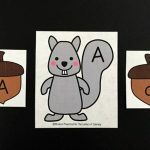 Find the letter that matches the beginning sound and use acorn or leaf manipulatives to cover the letter. If you do not have leaf or acorn manipulatives you can cut some out from paper or use balls of play dough. Continue picking letters from the basket and identifying the beginning sounds until you have covered over all of the letters on the mat. 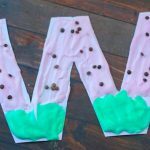 Print out the tree mats and use dot markers to cover over the letters. 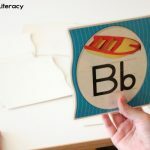 Call out an item in the room for the child to identify beginning sound for and cover it on the letter mat. Match letter manipulatives to the leaf cards. 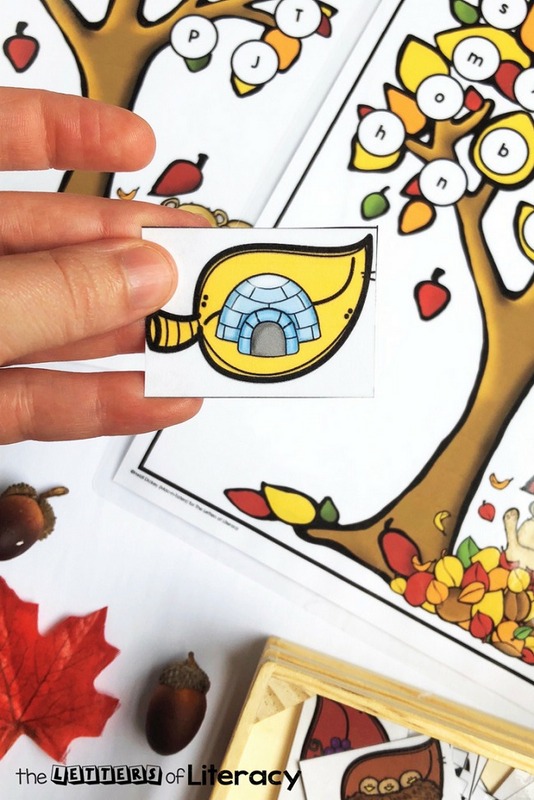 Scatter the leaf picture cards around the room and use a rake to rake them into a pile, identifying each beginning sound as you rake it into the pile. Cover each of the letters on the mat with a ball of play dough. Press each ball of play dough down flat. 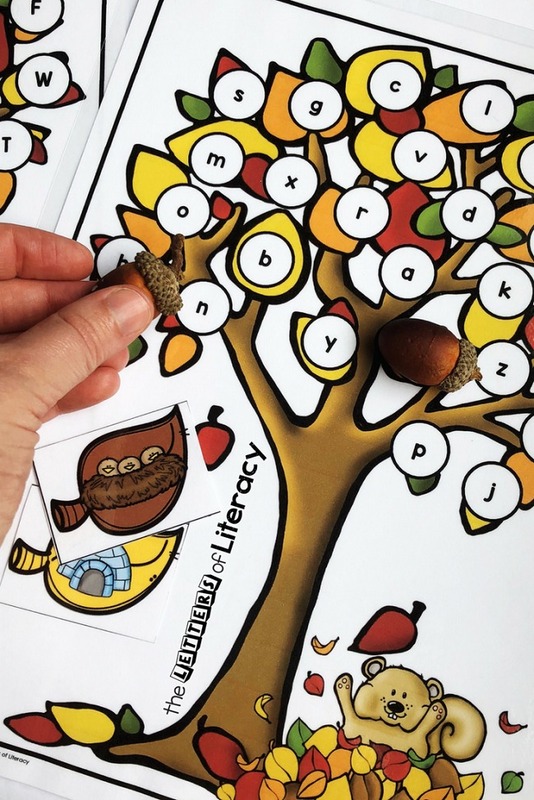 Pick a leaf card, identify the beginning sound, and use letter stamps to stamp the letter into the play dough on the tree. 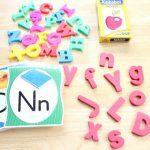 Ready to practice beginning sounds and letter identification? 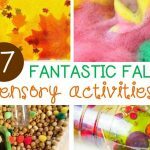 Grab your copy of the Fall Leaves Beginning Sounds Activity by clicking the large, blue button below! 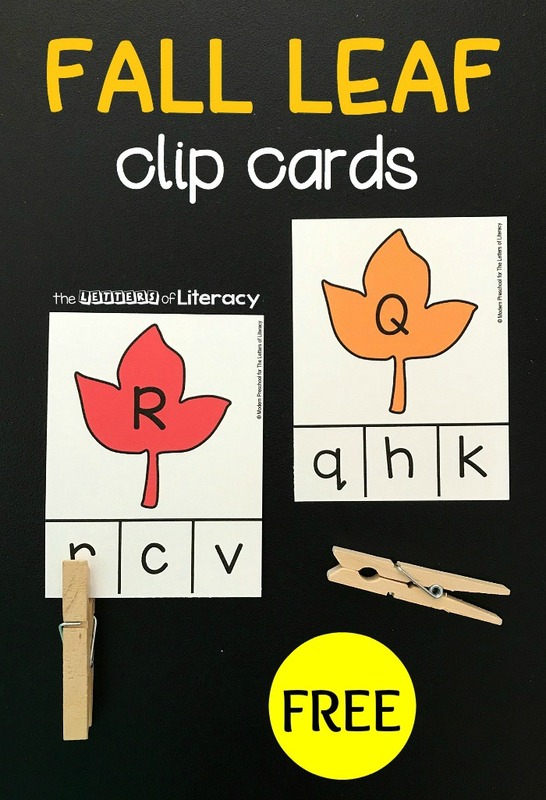 Then, hop on over to see our Leaf Letter Fall Clip Cards! Hi Jen. If you redownload the file you will get the updated copy that includes the letter Ee.